Developing turbochargers for motorsport applications is a complex business but one that Turbo Technics excels at. We have developed solutions for our own competition vehicles, engine developers and for major automotive manufacturers. Turbos have been in our blood for almost four decades, we understand racing and rally turbos. The key to developing a turbocharger for motorsport is an implicit understanding of what the application requires. 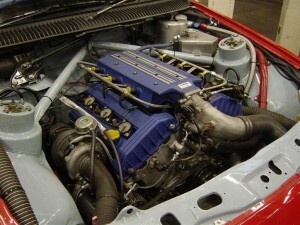 For example, a turbo for a racing application may need to be optimised at mid to high engine revs, where the driver can maintain high engine speed. However, for a rally car, it may need to give near-instant response when used in conjunction with a restriction device to optimise matching across the speed range. These differing applications will need quite different engineering solutions. Whatever the application, the project begins with a full consultation with the client, to establish exactly what is required. 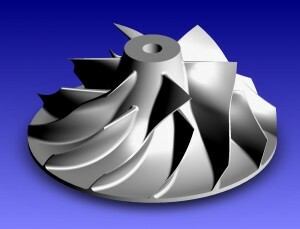 If a suitable solution is not available off-the-shelf, then Turbo Technics will develop one. With a real engineering capability and in-house manufacturing, combined with years of experience, a turbo can then be built to satisfy not only the performance requirements, but also do it reliably. The demands on a competition turbocharger are huge, both mechanically and aerodynamically, and we build all our competition turbos to deal with them. Typically, this will mean increasing the load capacity of the bearings, strengthening and increasing the flow capability of the compressor and turbine, and re-matching the wastegate or VNT mechanism. The rotating assembly will be built, checked and tested to high speed on our own VSR™ machines. This ensures that a Turbo Technics competition turbo will perform reliably and consistently over the course of its life and play its part in your success.